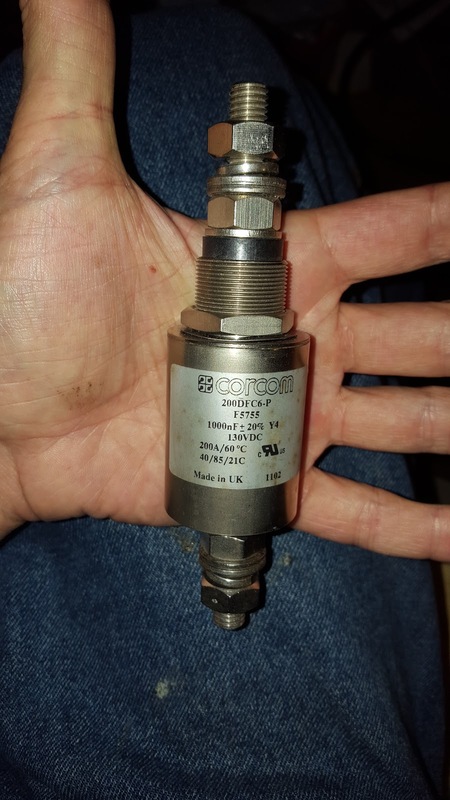 New Corcom 200DFC6-P arrived and installed. I got this on Ebay for $75. Not cheap, but they are $165 new if you can find them, so pretty decent savings there. Here's the datasheet on this device. Insertion loss is somewhere between 50-90 db at 50 MHz. Probably very close to -70db down. Because I'm using switch mode power supplies in this system I'm trying to filter any noise entering and leaving this jumbo power supply. 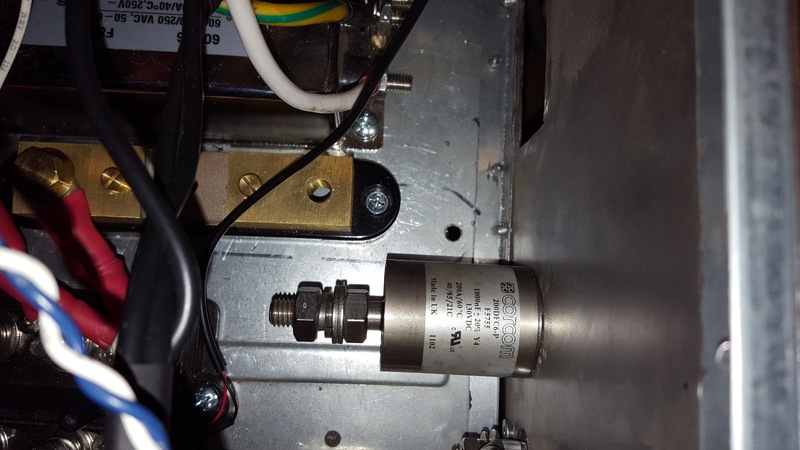 In the rear of the case (top almost center) you can see the new 200 Amp 130v "Feedthrough Capacitor". 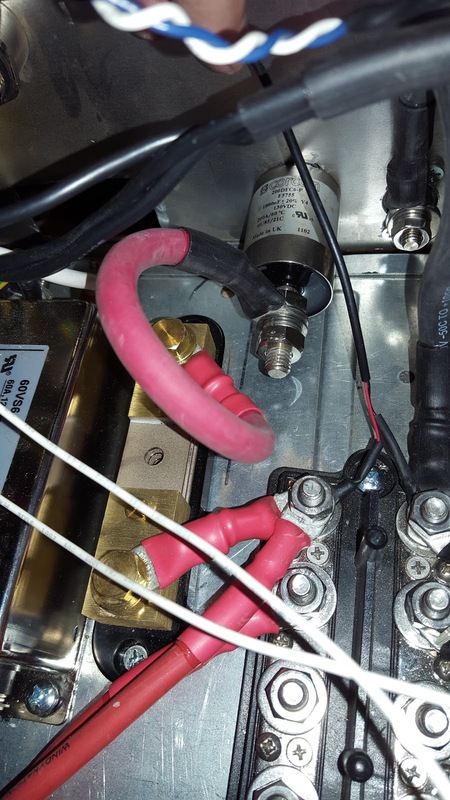 That's 2 AWG feeding it from the 400 amp (2x over rated on purpose) Ammeter Shunt. 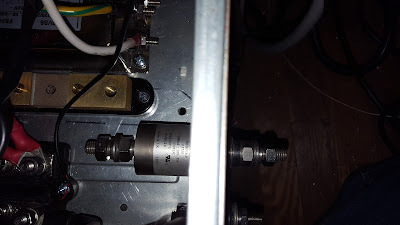 4 AWG everywhere else on the DC stuff inside this case. I don't really know for certain if this will be enough to keep the power coming out of this system clean, but I suspect it will be pretty good. We'll know later this fall when the RF amp that uses this power supply is on the air producing RF, and putting a load on this power supply. Until I can get a load on it, I can't really tell for sure how clean it'll be. At least on Receive I should be very good. Since the RF amp and the power supply are at minimal load at that point.